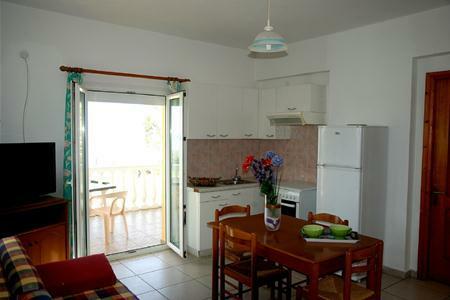 The pretty 2-star Sea Side Studios offer clean and tidy- charming and well equipped studio rooms. The location is quiet in the area of Kavos- sometimes known as St Peters. The facilities are great with sun beds and parasols- beach volleyball and water sports are available on Kavos beach which is just 15 minutes walk away. The spacious and charming sunlit accommodation features a bathroom- a kitchenette area- and some have access to a balcony with country views. For value for money- a traditional beach side holiday and a fabulous location book the Sea Side Studios in Kavos on the island of Corfu – kick back and rejuvenate the senses! Getting to the hotel: This resort is around an hour taxi ride from the airport - Seaside Studios can help with transfers if requested. Local Tips: Set in a quiet area of Kavos- just 25 metres from the beach; Seaside Studios are only a 15 minute walk from the resort centre with its choice of bars- restaurants- tavernas and energetic nightlife. There are also some local shops and bars just a 5 to 10 minute stroll away. FACILITIES: Food- drink and entertainment: Pool bar. Internet corner (at extra charge). 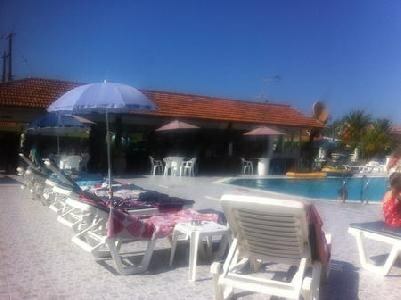 Sport- games and activities: Swimming pool with sun beds and umbrellas andpool table (extra charge). Additional: Fans available for hire- money exchange facility- laundry service- car rental- and free parking is provided on site. Local shop on site.